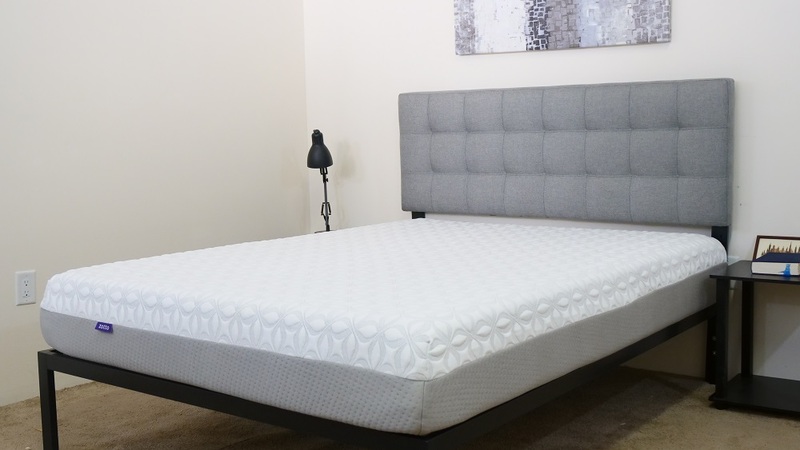 Zotto Mattress Review: Is Memory Foam Right for You? 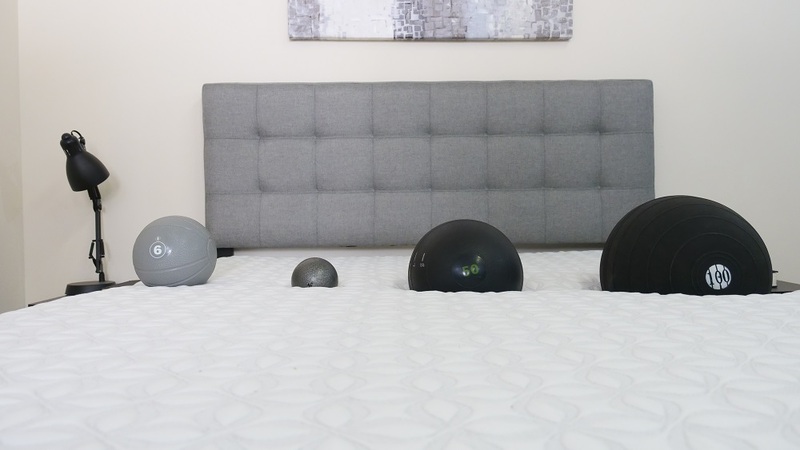 After receiving funding from a successful Kickstarter campaign, Zotto has officially debuted its flagship mattress, an all-foam model outfitted with the company’s proprietary ThermaPhase technology for extra cooling and comfort. 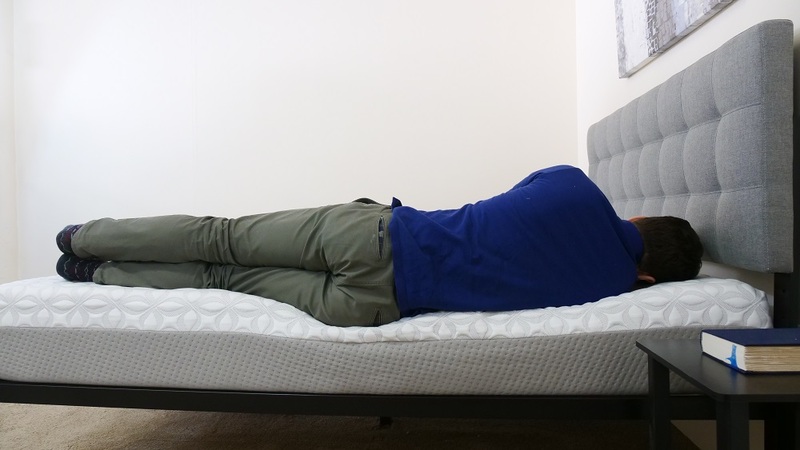 This is my first time checking out the Zotto, so I’m excited to put it through my tried-and-true tests to figure out just how comfortable it is and whether or not it could be the mattress of your dreams. Continue reading below for my full review of the Zotto mattress. Don’t have time to read it all? Click here to skip to the bottom and check out my review summary. Designed with several interesting cooling properties, the Zotto will help dissipate body heat and keep sleepers feeling cool all night long! Save $100 on your purchase by using the code SLEEPOPOLIS! Check out our roundup of the best mattresses of 2018! The Zotto is built with four layers of foam, stacking up to a total 10” of comfort. Here, there’s a mix of memory foam and the brand’s own Springtex foam, meant to create an interesting interplay between sinkage and bounce. Add to that a smattering of compelling cooling tech and you’ve got a bed that truly aims to do it all. To see how well the Zotto pulls this off, let’s dive into these different layers. Cover – The cover is made from a polyester-rayon blend. The embossed design makes it a thicker material, which creates a cozy feeling. It’s also totally removable, which means you’ll be able to wash it with the rest of your bedding. Comfort Layer – The comfort layer is composed of 2” of gel-infused memory foam. It has a slow response to pressure and will allow you to sink into the mattress for some immediate relief. 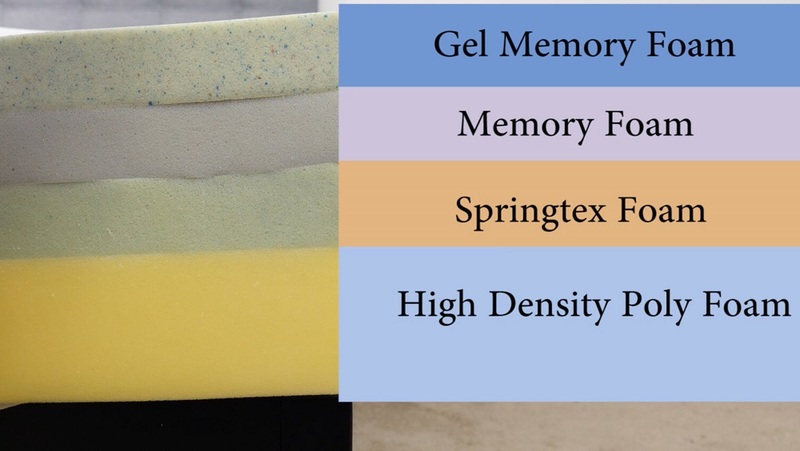 While memory foam has a reputation for overheating, the gel infusion helps to draw heat out of the material and dissipate it through the bed. 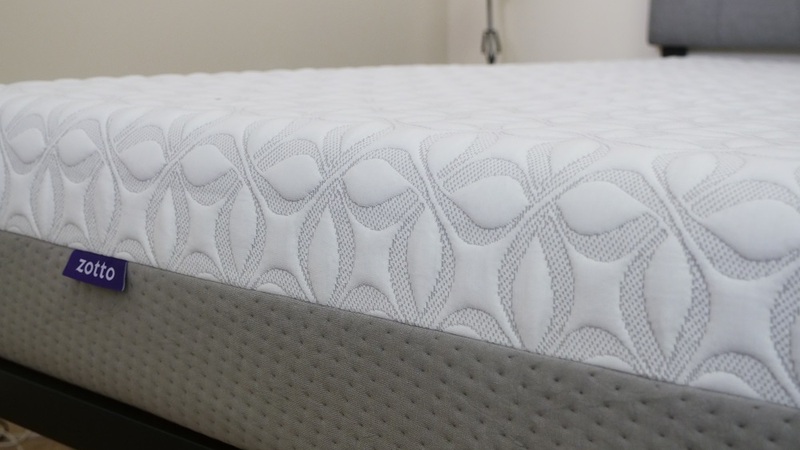 Contour Layer – Below the comfort layer lies 2” of CoolFlow memory foam. Again, this section has a slow response to pressure and will allow you to sink even further into the bed and experience some excellent body contouring. It’s also equipped with special cooling properties, which help to regulate and disperse body heat. Transition Layer – Next up, we’ve got Zotto’s own Springtex foam, a polyfoam that has a quick response to pressure. This layer mainly acts as a transition between the soft foam top layers and the high-density foam base. Foundation Layer – The base is made up of 4” of high-density polyfoam. This layer gives the bed most of its structure, acting as its foundation and main source of support. After taking a look at the construction of the Zotto, let’s chat about the firmness and feel. I started off by applying light hand pressure to the mattress and found that I quickly sank into the soft top layers. These sections morphed snuggly around my hand and provided quality pressure relief. Pushing in further, I didn’t really feel much bounce from this mattress, just the pleasant body contouring of the memory foam. Since everyone’s going to feel firmness differently, I decided to enlist three other people to help me continue exploring the feel of the Zotto. I asked them to lay on the mattress and report back their findings, which I compiled into the graph below alongside my own personal ranking. 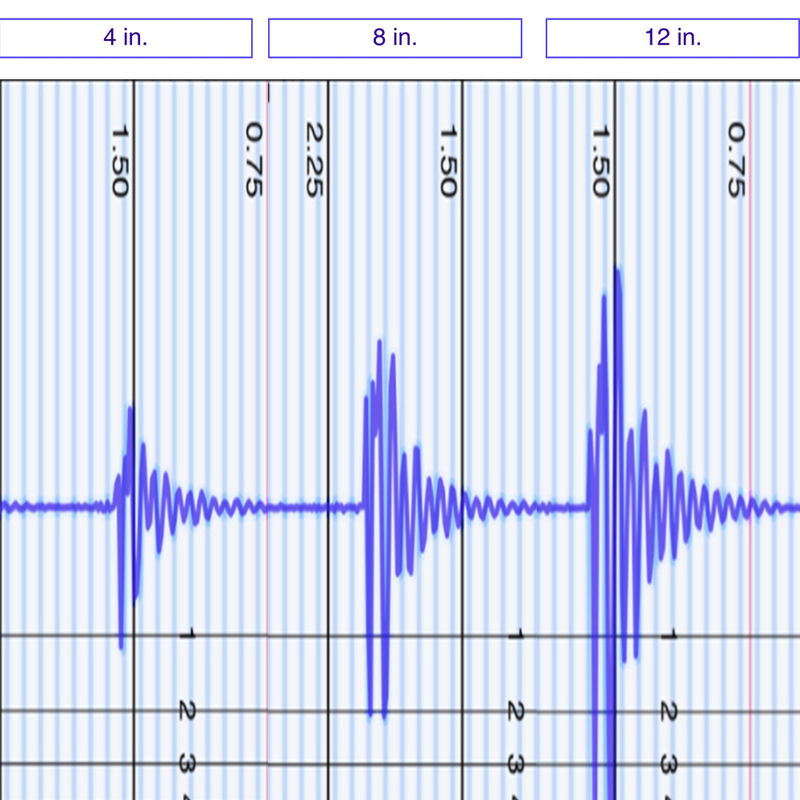 This will hopefully give you a better sense of the firmness range you can expect from the bed. As you can see in the graph above, my testers were pretty much in agreement about the firmness of the Zotto, giving it an average rating of 6.6. When compared to the industry standard of 6.5 for medium firmness, it’s clear this bed is fairly firm. I personally gave the bed a 6, experiencing it as just a bit softer than a typical, medium firm bed. My ranking was influenced mostly by the soft foam top layers, which produce some wonderful pressure-relieving sinkage and body contouring. 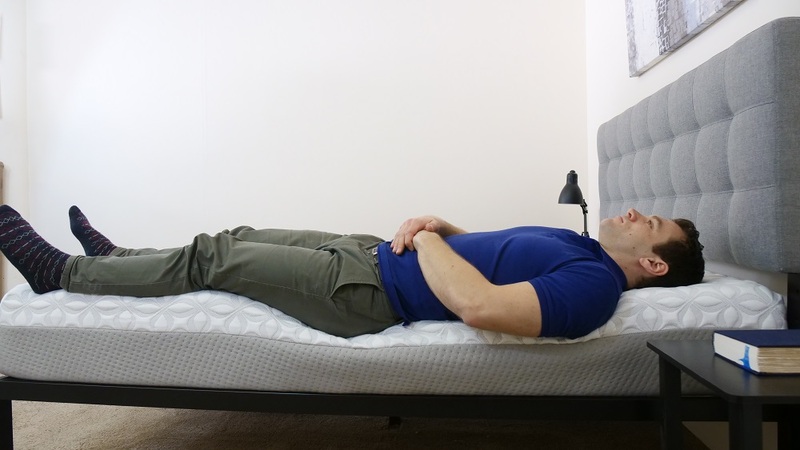 While the firmer base layers do work to support the sleeper, I’d still say this bed is best suited for those who like to feel like they’re sleeping “in” their mattress. Rather than just describing the feel of the Zotto to you, I wanted to give a visual representation of where someone may feel pressure points form while lying on it. To do this, I placed a pressure map on top of the mattress and lied on my back, side, and stomach. You can see the results on the image below where pressure is represented from blue (low pressure) to red (high pressure). Back – Lying on my back, I felt as though my weight was pretty evenly distributed. I definitely sank into the top foam layers, which produced some pleasant pressure relief at my lower back as indicated by the deep blue of the graphic above. Side – Rolling onto my side, this sinkage helped to alleviate pressure points at my shoulders and hips. This is great for side sleepers, as the foam top layers will gently contour to these areas and prevent any uncomfortable tension. 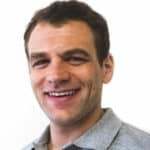 Stomach – And finally, on my stomach I felt my hips sinking into the bed, which produced some slight discomfort at my back. You can’t necessarily detect this on the graphic above, but stomach sleepers my weight (around 190 lbs.) or heavier will likely feel pressure from the sinkage. On the other hand, lighter users will probably fare just fine in this position. I’ll also add that because of the dense foam construction, it wasn’t that easy to move around between the positions, creating a sensation of sleeping “in” the mattress. While there was definitely some motion transfer detected across the Zotto, I should note that these results are pretty average for an all-foam construction. The double layer of memory foam works to dampen this interference and dissipate it through the structure, so even though you may feel your partner moving in the middle of the night, the motion shouldn’t disrupt your sleep too much. These results are a bit above average and definitely show more sinkage than I normally see when I run this test. That being said, I’m not surprised by these results given that the Zotto is built with so much memory foam, a material well-known for its body contouring and sinking properties. That this sinkage is so apparent really just means that it’ll be obvious whether or not this bed is for you. Hint: if you’re a back or stomach sleeper, you’ll probably want to check out something with more bounce and lift. Lying on my back, I felt a pretty similar feeling at the edge as I did in the center of the bed. I experienced the body contouring of the memory foam top layers, which provided quality pressure relief to my lower back. As I scooted closer to the side, you can see how the top layers really began to compress and shape to my body. This deep body contouring continued as I rolled over to my side. As you’ll notice in the image above, the top foam layers did an excellent job of conforming to the shape of my hips, which produced some nice relief in this position. You’ll also see that the high-density polyfoam foundation helped to curb this sinkage and keep me from feeling too stuck in the bed. In this position, I wanted to simulate what it would feel like to be sitting on the bed in the morning when you’re lacing up your shoes and getting ready for the day. A lot of foam mattresses experience severe compression in this position, and the Zotto was no exception. While I didn’t feel too stuck, I also didn’t feel as though I were able to spring right out of the bed and start my day. If you’re convinced the Zotto is the right mattress for you, the size and pricing information for the mattress are below. Please note that these prices reflect standard pricing, so be sure to use the code SLEEPOPOLIS to save $100 on your purchase. 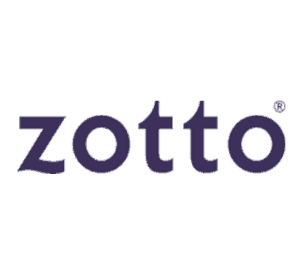 IS THE ZOTTO MATTRESS RIGHT FOR YOU? Now that we’ve taken a closer look at the Zotto mattress, it’s time to discuss who it’d be a good fit for. Side sleepers – The extreme body contouring of the Zotto makes it a great choice for side sleepers as the top foam layers will provide pressure-relieving support to the shoulders and hips. 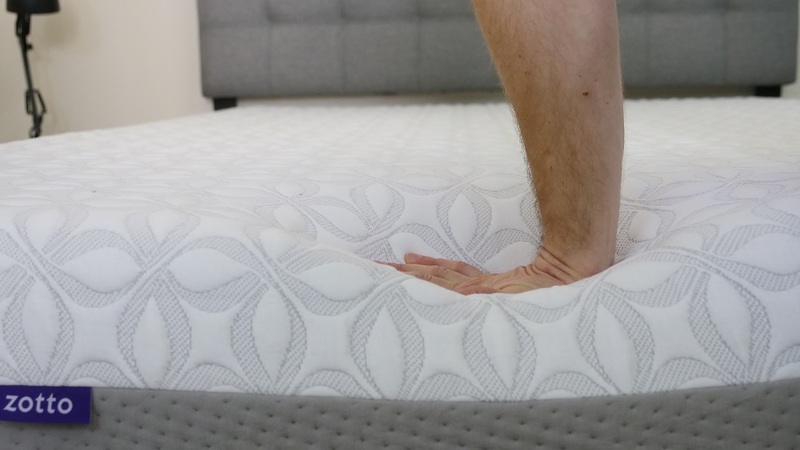 Memory foam feel – Built with two layers of memory foam, this bed definitely produces the classic feel associated with the material, namely that of excellent contouring and sinkage. Sleeps cool – Outfitted with a number of interesting cooling properties, the Zotto is designed to dissipate body heat and keep the sleeper feeling cool all night long. For more information on the Zotto, check it out here! 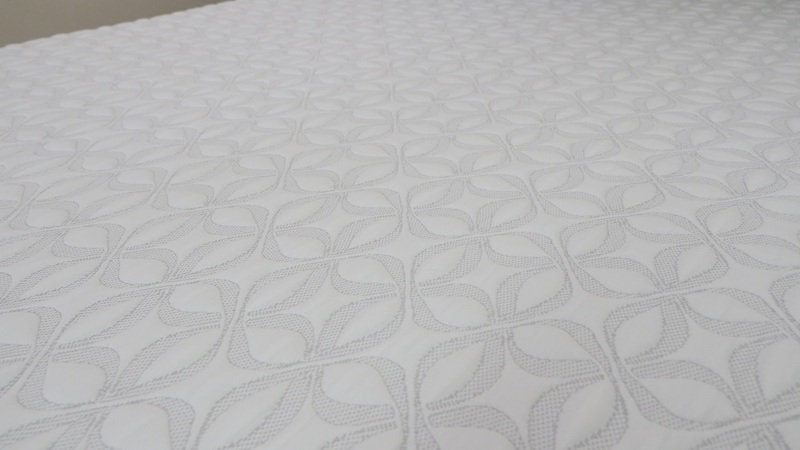 The Zotto mattress has a slightly softer feel, very good cooling, and good support. 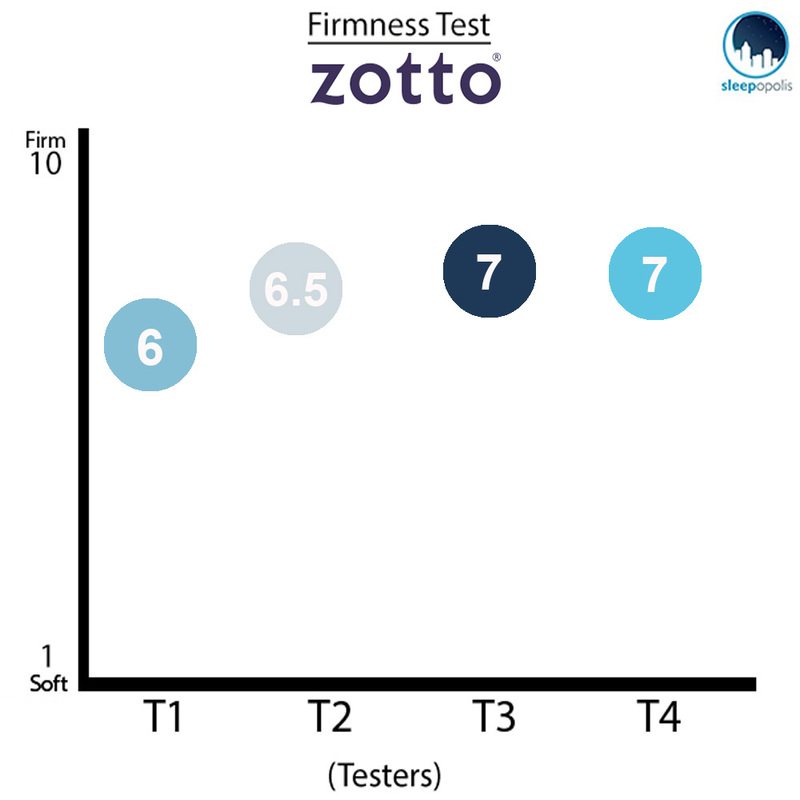 Coming in at a 5 out of 10 on the firmness scale (10 being the most firm), the Zotto’s 4 layers of foam combine to create an overall well designed mattress. 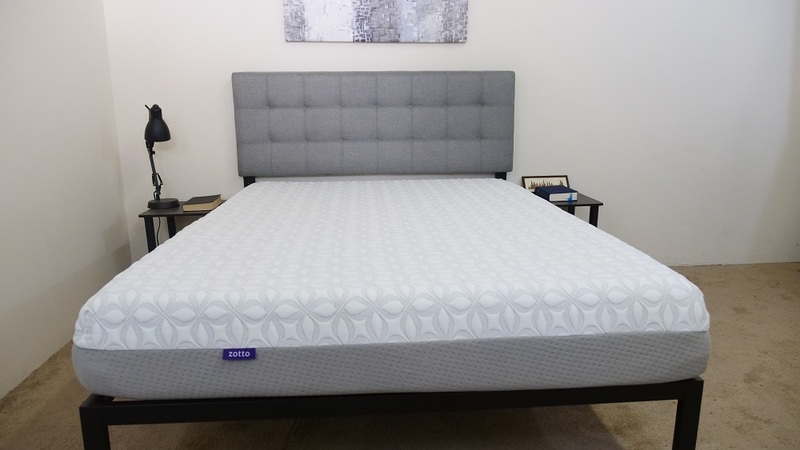 With very minimal motion transfer and exceptional cooling technology, this mattress does a great job offering balanced support throughout the body. The cover is well made, moderately thin, and has a contemporary, floral look to it. The Zotto is a great mattress choice for sleepers who prefer the perfect medium feel with pronounced hug and body shaping contour.